Great teen/young adult paranormal mystery perfect for fans of Beetlejuice and The Good Place. It was the worst possible day for Echo. She had 70s makeup and 80s hair. Oh, she was also in an open casket at her own funeral. Okay, maybe being murdered was worse. Sixteen year old Echo wakes up in Middle House not knowing how or why she arrived there. Soon she realizes her goal is to bring her murderer to justice. 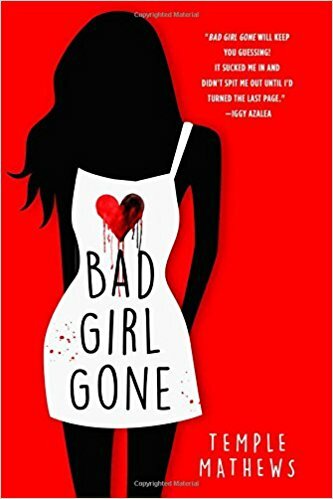 There is more than just one mystery to solve in Bad Girl Gone. Why does the caretaker, Mrs. Torvous, keep crying? Why doesn’t her best friend, Cole, talk about why he is in Middle House? Bad Girl Gone was written by a screenwriter and it shows. This book would make a great movie. The author makes the setting feel real. This is paranormal at its best–not frightening but more thought-provoking. How would you handle it if you switched places with Echo? The use of ghosts in a paranormal mystery is not new. There is Bailey Ruth and The Others. However, the world building in Bad Girl Gone seems more organic like a science fiction or fantasy plot. Bad Girl Gone also has some clean romance. Overall, I would recommend this book to anyone looking for the something different than the usual werewolf or vampire paranormal mystery. I received this book in a Goodreads giveaway but that did not impact my review. Focusing on reviews of comics/graphic novels, mystery/thrillers and non-fiction but occasionally other genres too.